Lathes and Turning centers | Mecanizados Martinez Vanaclocha S.L. The first one of the CNC lathes we acquired, and that has been working in our facilities for more than 15 years without any rest. Despite being a relatively basic machine with two turning axis, it performs excellently the dimensional and surface finish requirements that are demanded. Ideal for quick set-ups, since it’s been truly optimized over time, as well as efficient and rapid in the cycle’s execution, it adapts perfectly to both short and long series of parts which only require from pure turning operations. 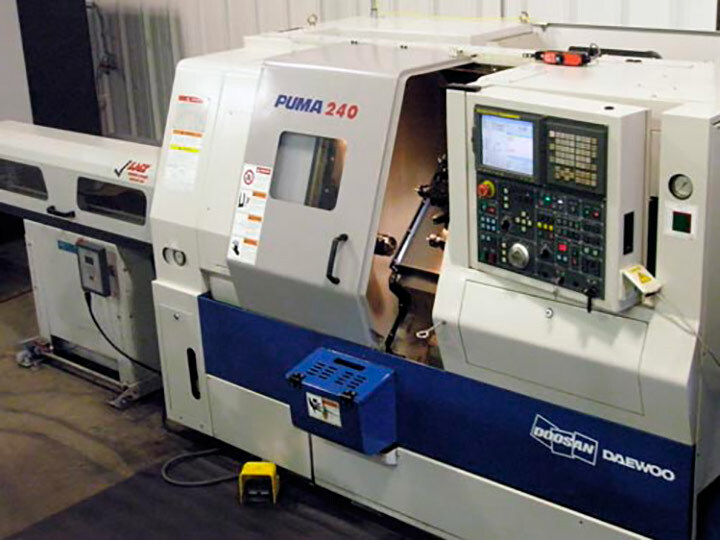 Very similar model of the previously described machine, although more sophisticated, the PUMA 240M has a live tool turret and C axis in the spindle, what allows it to perform basic milling operations besides turning. Equally quick for set-ups and efficient in its performance, it covers a wide range of possible different fabrications. 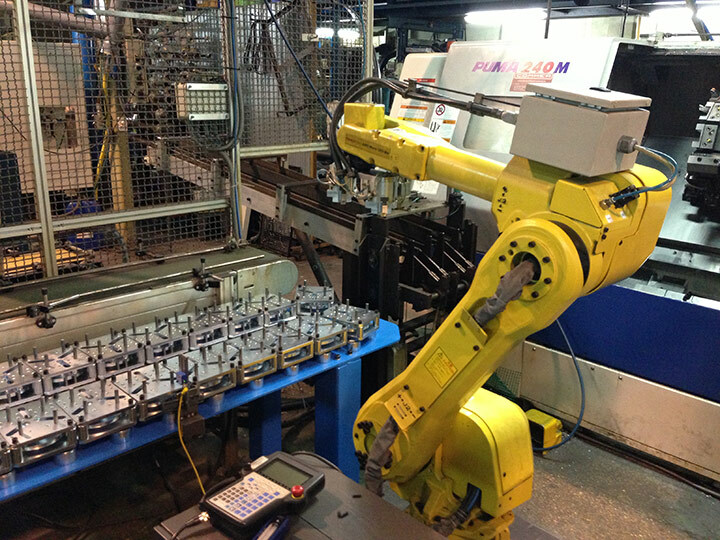 It’s equipped with a bar feeder, as well as a single raw part supplying robot, what allows its fully automation in all sort of pieces. The FANUC ArcMate robot, specifically adapted for this lathe, is capable of picking up raw parts from all kind of different auxiliary mechanisms, such us a ramp where shafts and long pieces are placed as well as a rotary custom-made carrousel where disks and flanges of all sort of shapes and sizes are taken from. All of them are introduced in the lathe by the robot for its manufacture, and later picked up and placed on a conveyor belt, thus a high automation of processes can be achieved. 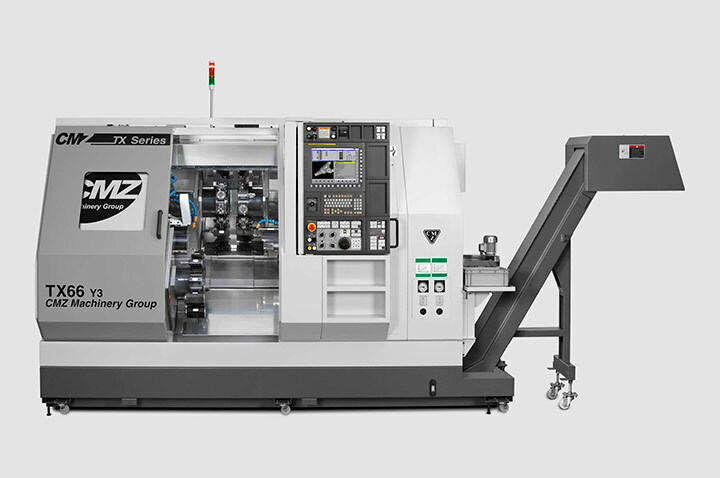 This turning center, technologically much more advanced, was acquired in the late 2013 in order to substitute another more basic and limited lathe. It has spindle and subspindle, plus two turrets, what makes the machining of both workpiece sides at the same time possible. Besides, both turrets have live tools and milling Y axis in all their positions, as well as C axis in both spindles, so this lathe is capable of manufacturing almost any part that can be imagined. Last acquisition of our company in the middle 2015, this machine represents a huge quality leap. The trust that this brand inspires, together with all the investment made in equipment allow us to think in being able to use their qualities up for a long time. 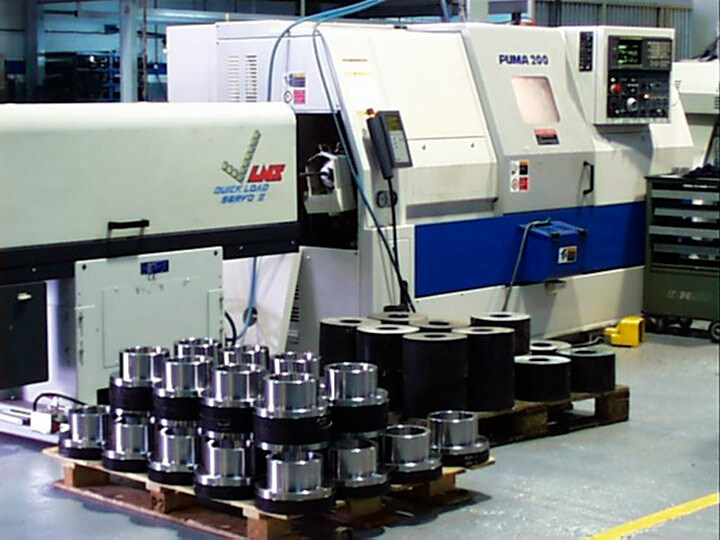 This lathe is equipped with spindle and subspindle, what makes possible to obtain a fully completed part in each cycle. 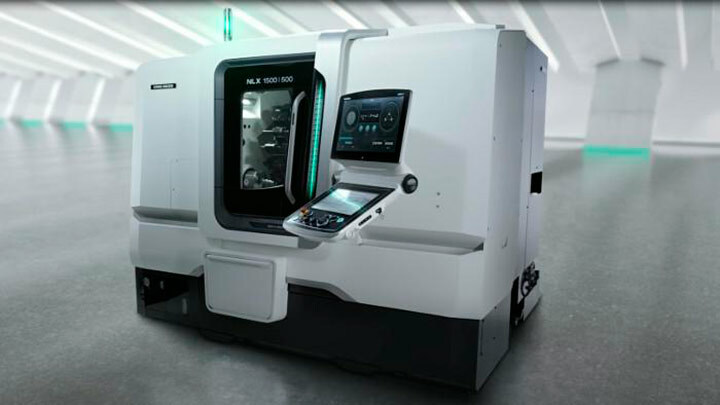 Its huge turret and the power it is given, permit milling operations at the same performance that any milling machine, that’s why it is ideal for turned-milled parts with many complicated operations. Besides, it brings integrated an advanced CAD/CAM internal processor, with which it is possible to create programs and preparations of any complex workpiece in a minimum time. Its high working speeds, both in the spindle and the milling tools, make it possible for that complicated part to be machined in record time.